This edition of "Put the Boot In" is inspired by an amazing and well known live recording by The Band, recorded shortly before their retirement as a group in 1976. The recording I am listening to was taken from an "off air" master FM reel. The show was broadcast on WBCN New York the evening of the performance. The music quality sounds absolutely breathtaking, and the performance stellar. Once in a while there are some slight level drops, but nothing that really detracts from the recording. There is the usual high crowd noise between songs, and some intermittent vocal issues, usually associated with FM broadcasts. But all in all this is a professional level recording of The Band approaching the end of their career, but still playing with fire. By this time, The Band's musical camaraderie had stared to wain, and substance abuse, ego, and musical disagreements had seeped into the once unbreakable bond between the five men. This was to be the groups last tour before their farewell "Last Waltz" taking place on Thanksgiving. The tour for the most part was consistent and well played. Richard Manuel had some off nights vocally, as did the other band member in other ways, but in the end, they closed their ranks and put on some exciting shows. Fortunately for us many of these performances have been saved for posterity for our enjoyment. Listening to the recording I immediately notice that the crowd is quaking with anticipation, as The Band had not played New York City since the 1974 tour with Dylan. The enthusiasm is contagious as I also feel myself getting giddy for the music to start! This was the opening night of The Palladium (formerly the Academy of Music) and The Band also brought along the Howard Johnson horn section to help celebrate the opening. Similar to the live LP "Rock of Ages", whenever The Band involved a horn section the music seemed to elevate to another level. This harkens back to their days as "The Hawks" when they used a two man horn section consisting of Jerry Penfound and Garth Hudson. The show starts with a ready, steady and ragtime version of "Ophelia". 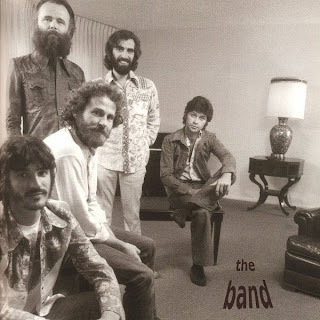 The horns swaying like a tire swing in a wind storm, and the band as tight as a jazz quintet, Levon Helm in prototypical fashion singing the song like a southern storyteller, emotion and world's of experience in each line. Richard in gruff tour voice supports on the chorus admirably spiting the backing vocals. In what should be no surprise to anyone Garth Hudson's medicine show organ shifts and swirls underneath everything eliciting a celebratory carnival vibe. Robbie takes a joyous solo, similar to the LP version but with an added intensity. Biting at the heels of "Ophelia", "The Shape I'm In" starts fast and flies by like a tractor trailer on the Northway. 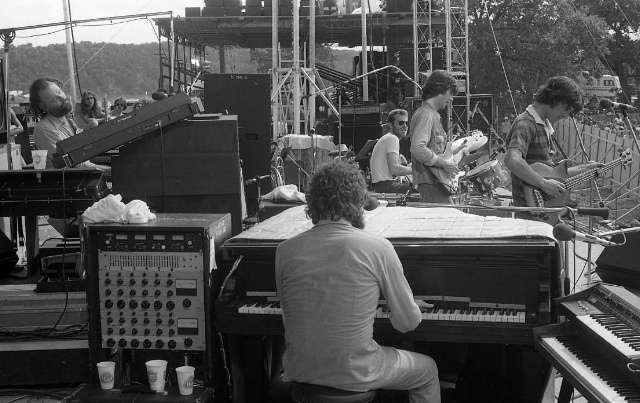 Rick Danko's bass sound is a hot air balloon, fat, rotund, and floating over the top of Levon's kick drum. The Band is in outstanding form and the opening two songs can attest to the enthusiasm surging through the group. Slowing down the performance a bit the group begins the emotive introduction to "It Makes No Difference", the horn lines contributing drama to an already emotional song. Always a spotlight for Rick Danko's vocal abilities, this performance is the first glorious peak of the show. Rick's lilting "country" voice, similar to Levon and Richard's golden throats, evokes a wise old sage, deeper meaning in all of his words. The sweet waiver, cracking falsetto, and well timed caesura's contained in the lyric, "These old love letters, well I just can't keep", exemplify Rick's knack for expressing lyrical content. There could be no one else in the world so tailor made for interpreting Robertons's lyrics. Similar to other performances, like in "The Last Waltz", the conclusion of the song is where Garth and Robbie trade solo's between guitar and saxophone. Like that performance, this one is inspiring with virtuosic performances by both Robertson and Hudson. "The Weight" follows and is a note perfect rendition with all three vocalists working in harmony. Obviously a crowd favorite, this song was played nightly by "The Band" and there is a plethora of outstanding versions to choose from. This performance being one of them. A smoking version of "King Harvest" is up next with Richard in great "whiskey and cigarettes" voice. The real alchemy takes place when Robbie steps up for a stinging, sustained portrayal of his famous understated guitar break. While blending with Garth in a intimate musical dance, Levon and Rick lock it down like a swinging southern bar band as the horns punctuate the song with blasts and flourishes. Robbie chews up his solo and spits it out as the band signals the conclusion of the song. A must hear version of the definitive "Band" tune. One of the recently composed songs debuted on the tour is up next with the performance of "Twilight". Played here in its "reggae" guise, "Twilight" never made it as an album track, but was a standout live performance featuring shared vocals by Rick and Levon. Funky New Orleans horns and a foot stomping Levon Helm drum groove propel the tune forward. The chorus flashes back to the days of "Big Pink" with all of The Band's vocalist collaborating their voices into a natural blend. The designed segue of "The Night They Drove Dixie Down", and "Across the Great Divide" comes next amongst a shower of requests from the heated up crowd. "Dixie" is a great version similar in scope to the "Last Waltz" version a couple of months later but lacking the emotional intensity of that version. Levon's drum hits and vocal lines share a bed and embrace, as the historic gunshots ring out. The "Across the Great Divide" is a marvelous version with the moaning horns echoing Richards impassioned vocals. The celebratory vibe of the track is felt and reciprocated in kind by the crowd. Again, Garth Hudson's shifting ethereal organ work is complementary to the popping rhythm section. The group has now levitated themselves well above the stage, and are playing at a standard where it seems they can do nothing wrong. The "Stage Fright" that follows is a kinetic version that gains momentum like a burning tire being pushed down a hill. Danko's earnest vocal delivery is stirring, as in my minds eye I can see his arms swinging assuredly as he bops and pops to the groove. Garth's organ colors between the lines, and elicits images of a psychedelic hurdy gurdy. The band builds to a volcanic peak as the horns bellow tunefully above Robertson's jumpy licks. After a few preparatory pops on Robbie's Stratocaster he hits the tremolo drenched introduction to the opening song from 'Northern Lights, Southern Cross", "Forbidden Fruit". This is one of my favorite songs on the broadcast recording. The song cooks with slightly more gas than the studio version with Robbie taking a couple of crisp slippery guitar breaks. His first guitar break sings with sustain and a slightly over driven tone. Levon is in his usual fantastic voice with nice falsetto help from Richard on the chorus. The horns fit perfectly and act as an natural extension of the group. A definitive version of an under appreciated Band song. One of the most beloved tunes in The Band's impressive songbook is "Acadian Driftwood" which is the song to be played next. What starts out slightly turgid ends up being a pretty good version of a song difficult to translate into live performance. Garth really carries this number with what sounds like twenty five sets of hands doing all sorts of things and stuff to the keyboards. Richard's voice sounds slightly worn out at this point, but does improve by the end of the number. In this case I still feel the studio version has a slight edge. Because its such a wonderful song to hear I cant really knock this performance, but it is a bit ragged around the edges. The improvisational segment of the evening comes next, signaled by a long sustained note by Garth Hudson. A "modern", for this time period sounding synth disperses atmospheric embellishments, as Garth continuously experiments with every genre of music that he can. Gone is the "woody thump" of the "Music from Big Pink" days, replaced with a slicker sounding Band. This does not detract from the music, but instead gives The Band a unique sound, like a vintage New Orleans street band with space age instruments! From spongy to rigid to liquid to gas, Garth shapes and metamorphoses the music at his whim, levitating it like a feather, and dropping it like a stone. Garth plays with his "Genetic Method" for about four minutes until he signals the slip into the crowd favorite "Chest Fever". 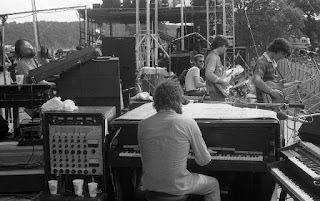 The Band sprints into "Chest Fever" with Levon and Richard in full throat and Robbie decorating the verses with his quintessential hit and run guitar riffs. His slightly over driven guitar tone on this tune is one my favorite sounds that Robbie coaxes out of his instrument. For the finale jam the entire group hits that special place that all groups long for. Literally, the "music playing the band". Peaking gloriously the horn section crashes to a enthusiastic conclusion. The crowd has been whipped into a bubbling froth and screams emanate from the gallery, "Hey Rick Danko, Unfaithful Servant!" The Band continues the high octane excitement as Garth begins the introduction to the Danko/Dylan song, "This Wheels On Fire". Similarly to "Chest Fever" the stage is littered with tire tracks as the band speeds intensely through the number. Almost hitting what sounds like a funky disco beat Levon propels the band forward with open high hat hits. Robbie takes a hold your breath spider bite guitar solo that slowly brings the band to a summit. Rick's vocals are emphatic as ever and as the band rumbles to a conclusion, before anyone can catch a breath Danko hits his well known opening bass figure to the Motown favorite, "Don't Do It". Like they were playing on a small stage in Toronto as the "The Hawks", The Band overflow with their early R and B influences. A tune that The Band made their own closes the show in explosive fashion, and leaves the crowd stunned, jaws dropped and eyes bug eyed. During the encore break the announcers reveal that after the performance that The Band are going to record their spot for "Saturday Night Live". I have included a link for one of the SNL performances below as to give a visual context for the concert review above. As The Band takes the stage to a jubilant crowd, they give them the gift of a textbook version of "Up On Cripple Creek' that sways like a old front porch swing, and smokes like a winter campfire. Levon Helm steps to the microphone to announce another encore song to the crowd as well as a special guest appearance. 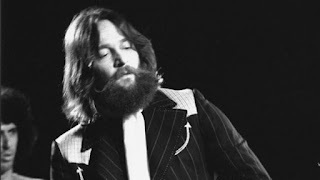 Paul Butterfield steps from the wings to add some roaring harmonica to a definitive version of "Life Is a Carnival". The horns, harp, and Hudson whip into a disorienting vortex of sounds that skip across Levon's chiming cymbal hits and Danko's gutteral slides across his fretless neck. An incredible display of chemistry and talent on display. Since the "Chest Fever" explosion late in the set, The Band has played with a virtuosity and intensity that even on recorded tape is an amazing joy to hear. 3,500 people have been brought to their feet and whipped into a euphoric tizzy. The band finally concludes a marathon performance with a similarly hot "W.S. Wolcott's Medicine Show" which "shakes the windows, rattles the walls" and brings the performance to a fitting end. The breathless announcers exclaim that they may have witnessed one of the best performances of their lives. I can honestly say that I concur, and I have only heard the recorded version! This incredibly atmospheric recording captures the Band just mere months before their eventual retirement and demise. The broadcast recording finds the Band still performing at an incredibly high level and with plenty of fresh originals to play. Perhaps one day this recording, or the Washington D.C. show from July will find their way onto an official release. This show is especially deserving, as it combines a raucous crowd, a well oiled band, and a career spanning set list. One of the most enjoyable listens I've had in a while, this performance never fails to ignite an exciting and introspective musical experience. so how can i get a listen?